Jerusalem is a city great diversity. It contains a complex mixture of multiple cultures, multiple ethnic groups and multiple nations. As such, the city of Jerusalem also attracts a variety of people and it contains a variety of accommodation options, suited for different types of individuals. Passengers from all over the world comes to see the wonders of the city each year, and top hotel owners try to do their best in order to make sure that each one of them will find the right place for him. 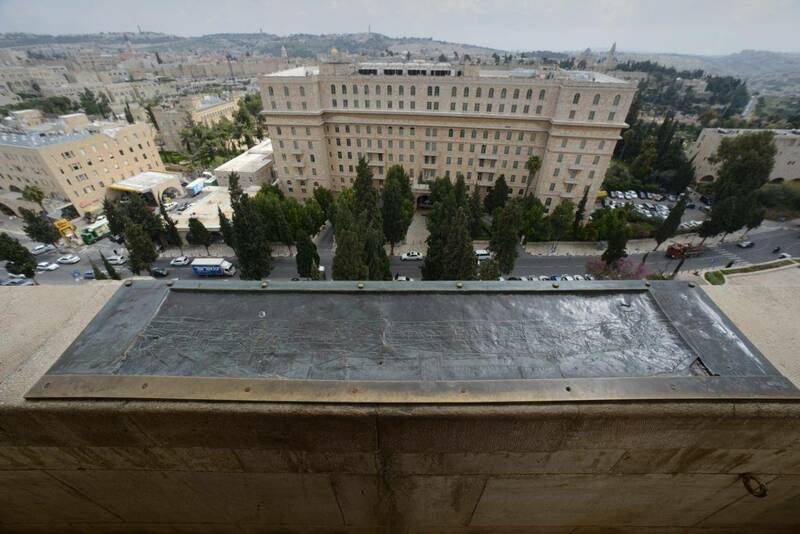 But how will you know which one of the top hotels in Jerusalem is really suited for your individual needs? How can you be sure that it really has the right facilities and luxuries ? One can really be confused by the abundance of hotels the city of Jerusalem has to offer. The city offers its visitors a wide range of accommodation solutions for different prices and different levels of room's quality, room service, facilities and luxuries. So before you book a room, you better ask yourself what is really important for you. Will you be willing to settle for than personal convenience in order to book a room right in the center of the city.
? Are some facilities and luxuries more important to you than others ? Is it important for you to avoid certain kinds of foods or drinks ? Some of these questions and others like them probably pass through your head while planning your visit in Jerusalem. In order to make the right decision when you will make your choice among the top hotels in Jerusalem, you should take these questions under consideration. Some hotels can offer you a central location. Others can offer luxuries and other benefits. But if you want to have the benefits of being in a central location while enjoying the luxuries that top hotels in Jerusalem has to offer, you should consider book a room in the YMCA Three Arches Hotel. So if you want to visit Jerusalem and really enjoy all the aspects of your stay, our hotel is the best option for you. The main characteristic of the city of Jerusalem is the vast variety attraction, many of which are religious in nature and others of a historical nature. The YMCA, 3 arches hotel whose construction was completed in 1933, is one of the most ancient but interesting tourist attraction in Jerusalem, and the YMCA established one of the city's most beautiful buildings. The idea was constructed to bring people together and help youth, include the three-arched hotel in the YMCA building, which is an architecturally unique hotel that also displays high-quality artworks. Top hotels in Jerusalem are usually distinguished by their special character and, in many cases, by their excellent integration into the city's landscape and public space, with its great complexity and uniqueness. A lot of tourist attraction are located nearby, all of them are unique and all three monotheistic religions can find an attraction to associate with and with the structures themselves having unique characteristics you cannot go wrong. Many of the hotels in the city appeal to a specific audience, like orthodox people who thought the year. Hotels in Jerusalem - interesting buildings, atmosphere, and an amazing service. Top hotels in Jerusalem and especially YMCA 3 arches hotel are known for the supreme level of guest service in every shape and form, from the amenities to shuttle service etc. The YMCA three arches hotel in the old YMCA building in Jerusalem is one of the most prestigious and interesting buildings. First because the uniqueness of its structure and most of all the exceptional guest experience it provides to its guest. Is one of the most beautiful buildings in the YMCA building in the world, and the building has been declared a historic site for preservation ? If top hotels in Jerusalem are appealing to you and you want to spend your vacation there and enjoy so the three Arches Hotel in the YMCA building is the place for.